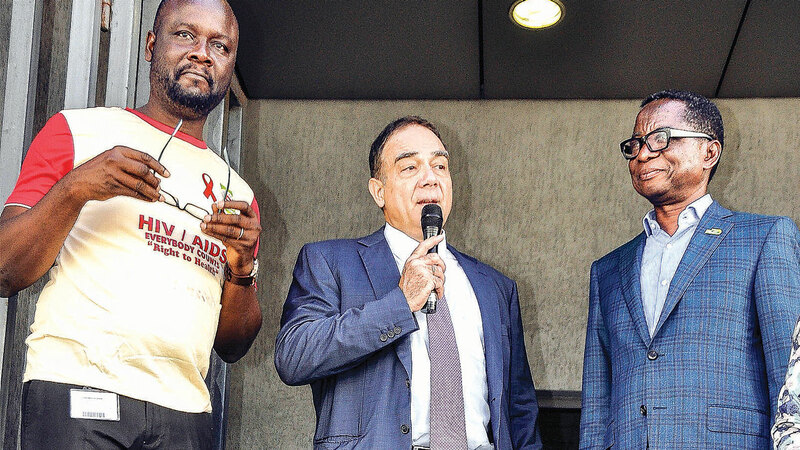 A firm, Flour Mills of Nigeria Plc., has joined the rest of the world to solicit support for persons living with Acquired Immunodeficiency Syndrome and Human Deficiency Virus ( HIV/AIDS). Speaking on the theme: “Everybody counts, Right to health”, Gbededo emphasised the need for Nigerians to unite and fight the disease by living right, creating awareness and by non-discriminatory behaviour against people living with HIV/ AIDS. He said company would continue to abide by its non-discriminatory policy on having HIV positive persons in its employ. The Guardian learnt that the company was partnering with the Society for Family Health, to set up several HIV testing and counselling points around its facilities to avail its workers an opportunity to get tested. Present at the event organized at the company’s head office were the Human Resource Director, Flour Mills of Nigeria Plc, Wale Adediran and Chairman, Board of Directors, Flour Mills of Nigeria Plc, John Coumantaros with members of staff.